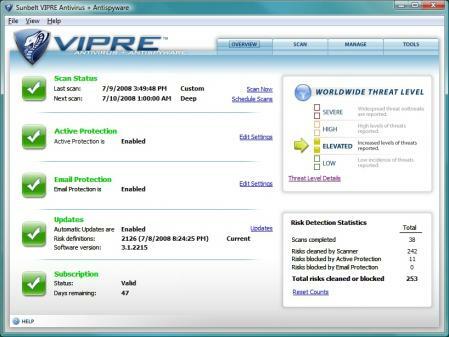 VIPRE Antivirus is unlike any other antivirus on the market today. Built completely from scratch by Sunbelt Software, VIPRE Antivirus took thousands of hours of labour and sweat to create, but if you want to get something right the first time, you have to put in that kind of work. The program belongs to Sunbelt alone, and they know it better than anyone. The technology of this program is like nothing you’ve ever seen before – It combines antispyware, antivirus, antirootkit and more into one, seamlessly integrated product for you to enjoy. -If you have CounterSpy currently installed on your system, you should uninstall it via your computer’s Control Panel before you proceed with this download as it’s been integrated into VIPRE Antivirus. ESET SysRescue aims to scan your computer and remove malware components that might have affected its functioning.